"love and justice are not two. without inner change, there can be no outer change; without collective change, no change matters"
Soto Zen priest and teacher Rev. 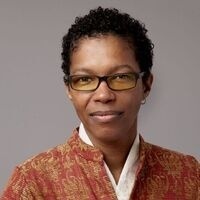 angel Kyodo williams offers a keynote address on the teaching drawn from her co-authored book "Radical Dharma: Talking Race, Love, and Liberation." Brought to you by Kenyon Interfaith Partnership (KIP). Cosponsored by BSU, ODEI and The Rogan Fund. • Feb. 11: Meditation and talk at 7 p.m.
• Feb. 12: Book discussion at 11:10 a.m.